With so many potential home buyers starting their search online, having a strong social media presence is more important than ever. Using social media as a tool to drive possible buyers to open houses is as important as any other piece of your marketing plan. You know how important social media is, but optimizing your social media accounts to convert the visitors to leads is sometimes confusing. Here is a list of “do’s and don’ts” for social media accounts to drive new home sales. Do focus on specific accounts that provide the most interaction: There are hundreds of social media platforms online that can be used, but it is difficult to be active in all. Focus on the accounts that seem to be the strongest for interaction with buyers. We suggest LinkedIn, Facebook, Twitter, Pinterest and Google+. Not only is Google+ growing in popularity, but even more important, it’s important to be active in Google+ for SEO purposes. Do post helpful information about the community in which you are selling new homes: Posting helpful information like local school district data, local market reports and even community activities and events will make you stand out as the authority in the area. Consistently acting as a helpful resource to buyers gives them a reason to choose you, and it keeps you top-of-mind. Do show customer appreciation: Just closed on a house and are handing over the keys? Take a picture and congratulate the owners of the home on social media (with their permission). Providing great ongoing customer service and showing appreciation helps you maintain a strong relationship with your past clients. This can go a long way in producing referrals and repeat business. Do post consistently: Set a social media schedule and stick to it. Work towards adding more posts weekly. Daily posts are ideal for exposure. Don’t constantly self-promote: It is a great idea to post images and information of your new homes; but if that’s all you’re posting, it can be detrimental. Along with information about your homes, you should post helpful information like your blog posts and articles from third party websites. Offering a reasonable mix of information about your homes and information people need to make home-buying decisions is crucial to the success of your social media efforts. Don’t forget to interact: Simply posting information to your social media accounts is not enough. You have to be truly engaged with your audience in order to turn social media followers into home buyers. When you receive likes, comments and shares, it is best to respond, especially to comments. The smallest recognition can influence their home-buying decision. Don’t neglect video: Posting video walk-throughs of new homes is a great way to entice buyers to email or pick up the phone to schedule a live walk-thru. This will give them a sneak peak of what your homes have to offer and creates a great opportunity for social sharing. Don’t ignore negative comments: The first reaction you have to negative comments may be to hide it from the timeline or delete it altogether. Unless the commenter has used profanity or is being malicious, this is not the way to handle a negative comment. If the commenter is making a complaint in a respectful manner, use this opportunity to make lemonade out of lemons. Respond promptly and with thought and care. Express that their satisfaction is important to you and that addressing their need is a priority. Give them a way to contact you, and connect with them via phone or email promptly. Your response will show other potential buyers that you are dedicated to your customers and that you provide high-quality service. Don’t underestimate the power of LinkedIn: Many see LinkedIn as only a B2B social marketing solution, and this is not the case. Many of your potential buyers are on LinkedIn every day. Business professionals looking to purchase homes will check your business page and the personal profiles of REALTORs for references and experience. It is also a good idea to be active in groups on LinkedIn related to your local area so that you can reach potential buyers with the helpful information you provide. No list of do’s and don’ts is comprehensive, but implementing these tactics will help put you on the fast track to closing more contracts. Have any other social media advice for new home sales professionals? Share it in the comments section! 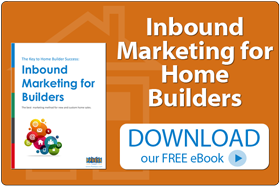 This entry was posted in Blog, Builders & New Home Marketing, Inbound Marketing, Real Estate Marketing. Bookmark the permalink.